Coverage: Live on BBC One, Connected TV and online, with updates on Radio 5 live. 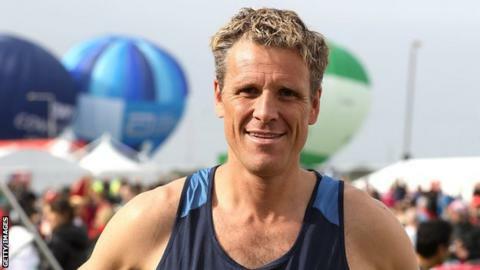 Two-time Olympic champion James Cracknell says it will be his "proudest moment in rowing" when he competes in the 2019 Boat Race. Cracknell, 46, was confirmed as part of Cambridge's crew on Thursday and will become the event's oldest ever rower. He retired from elite rowing in 2006 but qualifies because he is studying a Master of Philosophy degree in human evolution at the University. "I've had to get back to being able to move in a rowing boat," he said. "I am seven years older than one of the guy's dads. "I stopped rowing in 2004 and haven't rowed since. "If I can make it onto the start line will be the proudest thing I have done in rowing." The previous oldest Boat Race competitor was Andy Probert who was 38 when he coxed the Cambridge boat in 1992. Mike Wherley was 36 when he rowed for Oxford in 2008. "It has been a challenge," Cracknell told BBC Sport. "I have struggled in ways I haven't previously but you are also surrounded by people half your age and that makes you feel a lot younger." The 2019 Boat Race takes place on 7 April. Cambridge beat Oxford in the men's, women's and both reserve races of the annual event, held on the River Thames, in 2018. At the Sydney Olympics in 2000, Cracknell took gold in the coxless fours alongside Sir Steve Redgrave, Sir Matthew Pinsent and Tim Foster. And he repeated that feat four years later in Athens with Pinsent, Ed Coode and Steve Williams. Cracknell is also a former six-time champion at the World Rowing Championships, where he claimed gold medals in the coxless pair, coxed pair and coxless fours. "The luxury of being a full time athlete is you can plan your day around your training but here there is training and it is hard intensity but straightaway you are into lectures," he said. "That has been a hard aspect to get used to. You are juggling strenuous academic requirements and then trying not to live like a student and still working like a student." While he officially retired from the sport at the age of 33, Cracknell went on to compete in a South Pole Race in 2009, which involved rowing across the Atlantic Ocean and trekking across the Arabian Desert. In 2010, he finished 12th in the 156-mile Marathon des Sables - the best finish by a Briton in the endurance race - and completed the London Marathon in 2017. In the summer of 2010 Cracknell suffered a serious head injury when he was knocked off his bike by a truck in the US while attempting to cycle, row, run and swim from Los Angeles to New York within 16 days. Following the incident he said he was "lucky to be alive", but admitted his memory had been affected and his personality had changed.